Phnom Penh (VNA) - The number of tourists to Cambodia surged during the Phchum Ben festival , according to Cambodian Ministry of Tourism. 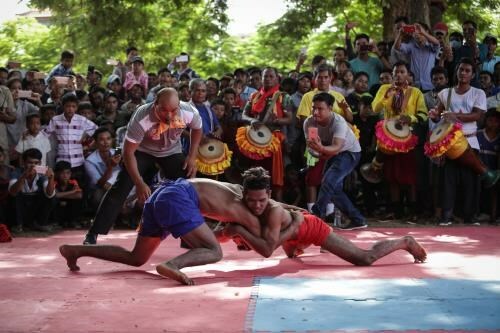 More than one million domestic and foreign visitors flocked to tourism destinations in Siem Reap, Preah Sihanuok, Battambang, Kep provinces during the festival, up 15 percent from the same period past year, according to the Ministry. In August, Cambodian police requested localities to strengthen security and ensure safety for visitors in the country’s key destinations.